Hero Splendor PRO prices start at Rs. 49,598 (Ex-Showroom). 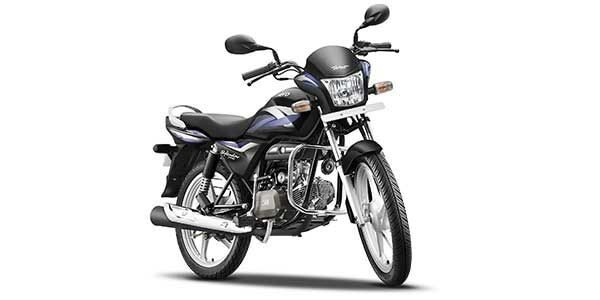 Hero Splendor PRO is available in 2 variants and 3 colours. Share your experiences with Splendor PRO? The claimed ARAI mileage for the Hero Splendor PRO petrol is 90 kmpl. If you must have a Splendor, the Pro is the bike to buy. It gets newer styling, better instrumentation and moe importantly, a new engine that's both more refined and economical. Q. Which one is best Splendor Plus or Splendor Pro? Q. Is it suitable for long ride? Yes, you can use it sometimes. But it is convenient in your office purpose. Q. Mujhe Radeon aur Splendor Pro mein confusion hai. Q. Does company give accessories with bike? The standard free accessories provided by the company are the side stand, main stand and the rear view mirrors. All the other accessories paid by the user. Q. I am confused between Splendor Pro and Star City. How is the engine of Star City for long run performances as few people is saying that after 3 years TVS bike will not perform well. We took a quick spin on the updated versions of three of Hero MotoCorp’s mass-market motorcycles to check out if they has upped the company’s commuter game. Nice experience for light weight & easy in handelling. I use it for my office & drive smoothly. Confused about Hero Moto Corp Splendor PRO?